These doors are regularly subjected to up and down movements repeatedly until they wear out and refuse to work properly. Nonetheless, it is worth noting that they can be fixed. It is imperative to be sure that your door is in good working condition because robberies and burglaries often take place through a broken door in the garage. If your door’s electric opener is not opening or closing, you may need to reprogram the garage door opener by using its keypad. If your door is sticking while closing or opening, you may need to apply lubrication to the hinges and the metal rollers. When the door is released, it should not fall. If it does fall, this is an indication that the extension springs are worn out and must be replaced. Be sure to have the service performed by an expert. You can call us to make a replacement for extension springs. In a situation where a door is opening by its own accord, the springs are likely too strong and should be replaced with lighter strings. The tracks and the rollers should be cleaned when your garage door begins acting up. A noisy door could be silenced by regular maintenance or replacement of some of the parts. 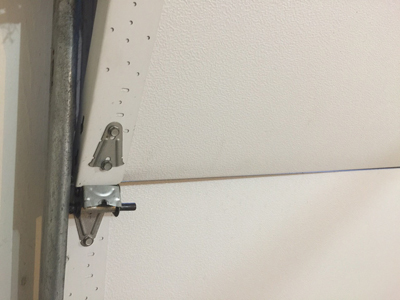 A frozen garage door may be due to a small icy connection between the garage door and the garage floor. This can be fixed by hitting the opener button, which should break the connection. Regular garage door maintenance tasks will save you from the headache of fixing bigger problems. Our garage door repair services in Mount Prospect can help with performing routine maintenance services.